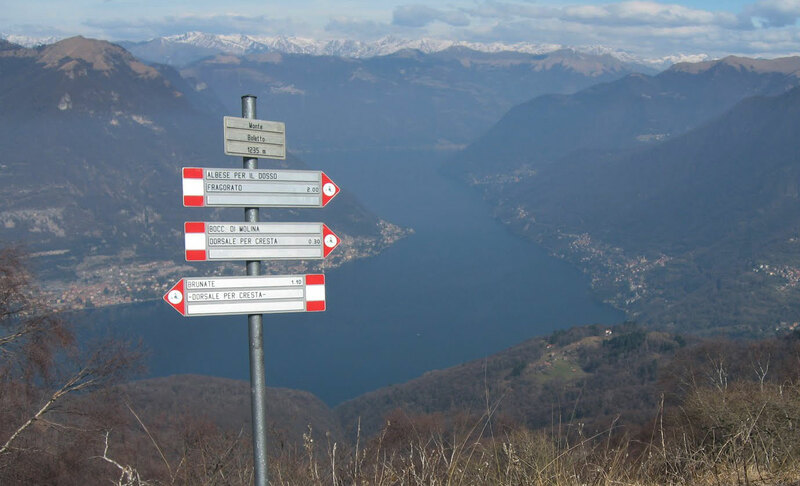 From the mountain to the lake, the enchanted lands that unfold around Lake Como will satisfy every desire, from easy paths dedicated to families and those who wish to enjoy the landscape in a more pleasant, tranquil fashion, to challenging trails, designed for experts and lovers of the authentic mountain experience. 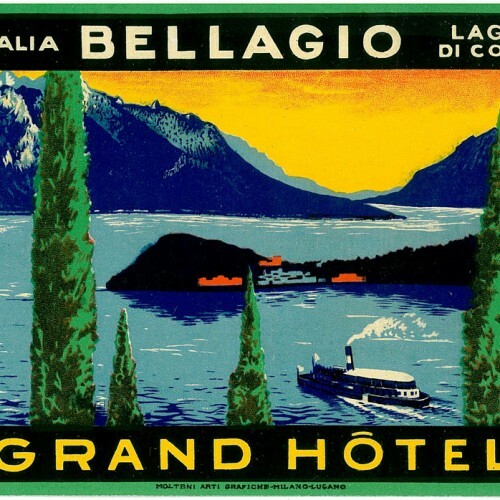 This is the Larian Triangle that unfolds between Como, Bellagio and Lecco, mainly occupied by pre-Alpine elevations, among which one can find the Grigne Group, probably the most famous of the Lombardy Pre-Alps, whose unmistakable silhouette dominates the lake landscape. The dense network of paths, connecting to various unspoilt, natural and lush scenes, is perfect for exciting excursions on foot, where you can enjoy breathtaking views of the mountain peaks, reflected in the waters of an elegant lake of worldwide renown. To walk along these routes is to follow the traces of this territory’s evolution, via ancient paths, rural agglomerations, caves and old mines that tell the story, surrounded and enveloped by landscapes of unique beauty, unchanged by time. The Orrido di Bellano: a natural gorge created by the Pioverna River, whose waters, over the centuries, have carved out gigantic dips and evocative caverns. A concrete walkway allows the visitor to admire the beauty of a truly unique place. Piani Resinelli Mining Park: located in the cornice of the Grigne Group, at a height of about 1300 metres, the mines of the Piani Resinelli cover a landscape blessed with splendid charm. These are ancient mines, exploited from the sixteenth century through to the present day, and are now safe for visitors of all ages. All tours are guided. Grotte di Rescia - natural caves at Claino con Osteno on Lake Lugano. A natural opening affords access to the Seven Caves of Rescia, where one can admire the work of water, which over the centuries has dug tunnels and allowed the formation of imposing stalactites and stalagmites. From one of the caves you can admire the cascade of Santa Giulia, which falls some 88 metres. Open from April to September. We suggest contacting local speleology associations or referring to the Guide Alpine della Lombardia (Lombard Alpine Guides) to visit the caves safely. The Alpe del Vicerè (903m) is easily reached from Albavilla via a carriageway. For information on any traffic or shuttle bus closures, please contact the Municipality of Albavilla. - The Buco del Piombo (695 m; 1 hour), for lovers of speleology and palaeontology. These routes present no particular difficulty and require no special equipment, and may be tackled by inexperienced persons wearing a pair of shoes suitable for walking and comfortable clothing. 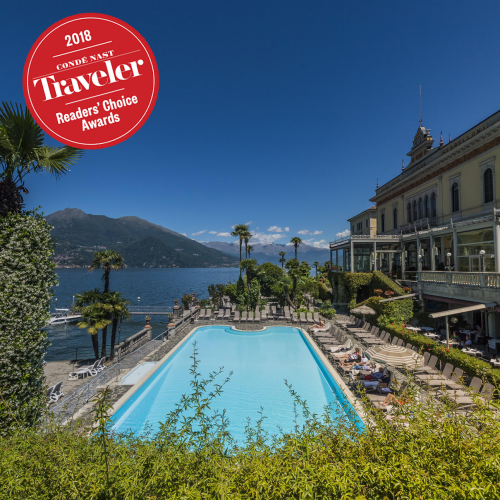 The concierges of the Grand Hotel Villa Serbelloni will be at your disposal to give all guests the best guidance regarding these and many other trekking routes.